We play these courses often, and know them well! We believe golf vacation packages are one of the best ways for couples, groups of friends, and families to build lifetime memories and amazing travel experiences. We provide this by offering a lowest price guarantee on our golf packages throughout the Southwest USA. We can do this because of our long term relationships with golf courses, accommodations, and rental vehicle companies. If you only take one golf vacation per year please give us a try next time you plan or book one. We love golf, travel, and want to help you plan your next Arizona or Palm Springs golf vacation package. "I worked with James from Golf Troop on my just completed Scottsdale vacation. Everything was 1st class as far as accommodations and golf courses. My foursome was impressed with how smoothly everything ran in Scottsdale. Thanks again James as we had a great time. "Our golf trip exceeded all expectations from the house to the courses we played. Jimmy was excellent to work with and was able to make a few last minute tee time changes with out a problem. We will be returning again next year. "Accommodations and golf courses exceeded our expectations. Excellent service from Vinnie. Instructions were clear and concise. No problems checking into condo and golf courses had excellent customer service. We felt like VIPs. My buddies were very impressed. The trip was great again. We are already talking about the next trip. I have to tell you, Wickenburg Ranch was so sweet, the Victory course at Verrado unbelievably scenic and serene and legend trail and Las Sendes both got rave reviews. It will make choices much tougher next year. I am thinking same time frame for next year, again at Desert Oasis. Please let me know in the next few months when we should start talking to make sure we get the house. Thank you again, you are going to have to work hard to beat this trip, but i have faith in you! "We have gone to play golf around Phoenix/Scottsdale several times. I liked doing business with GolfTroop, my first time with them. Jimmy was super effective and his turnaround time was fast in every aspect. The condo and courses recommended were spot on for our foursome. We will be return customers. They are a great outfit!! "The Courses Vinnie picked for us were Superb!!! Couldn't have worked out better the last day. Playing Papago course right near the airport on the last day then fly out was fantastic!! Thank You!! Vinnie and Golftroop! Now offering the best selection of private luxury vacation homes and condos. Hassle-free premium golf club rentals, with delivery and pickup to any Valley location. Save with Alamo, GolfTroop's preferred rent-a-car company. Ask us for details! Why pay baggage fees? Save money and ship your clubs with Ship Sticks! Purchase your discount travel insurance here! In order to make a payment you must know your Invoice #, your group leader's last name, and the amount you wish to pay. The below button will bring you to a secure page where you can process your credit card and receive a receipt via our online payment system. 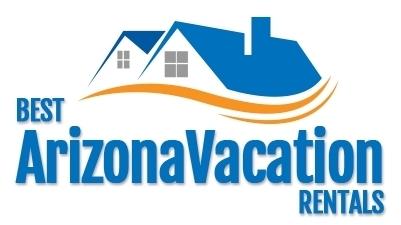 Payments will be made to Best Arizona Vacation Rentals LLC and will appear as BESTAZVACATIONS. You may also call 877.748.2557 during normal business hours to pay over the phone. You may pay with any VISA, MasterCard, or Discover credit/debit card through our secure payment processor. Weather has cooled down but GolfTroop's discounted prices are red hot. Let a GolfTroop specialist build you a custom quote to get you on the green!